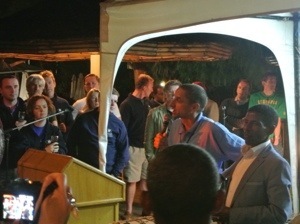 Last weekend, I had the wild fortune of meeting, listening to, and attending a party hosted by one of my living heroes: Haile Gebrselassie, arguably the greatest long-distance runner of all time. His lengthy and still flourishing career includes 27 world records, 2 Olympic gold medals and 4 World Champion titles. He’s racing the Fukuoka Marathon this Sunday and is hoping to become the first man to break 2:07 for the tenth time. My connection to Haile sprouted from Yaya Village’s involvement with the Great Ethiopian Run, the largest road race in Africa that Haile has supported ever since he won the inaugural race in 2001. 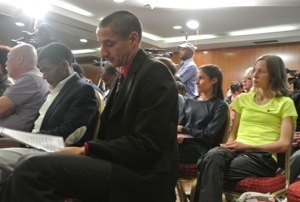 Dan, Xavi, Julia and I attended the GER press conference on Friday, which was emceed by Richard Nerurkar, Great Britain Olympian and former director of the GER. 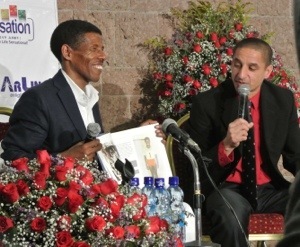 Haile won over the audience with his charm, poise and humor, and accepted the first copy of “Haile Gebrselassie – The Emperor of Long Distance.” The book is the product of nearly 50 years of visits to Ethiopia by Jiro Mochizuki, a Japanese photographer and journalist, and it will reach store shelves in February. 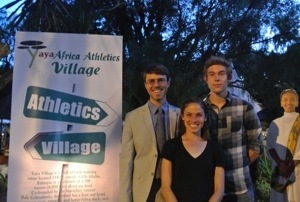 On Saturday, Yaya Village co-hosted the GER Pasta Party for international runners and Haile was once again, quite understandably, the star of the show. He helped the mayor of Addis cut a cake celebrating Addis Ababa’s 125th birthday, presented some awards to GER partners and donors, made another humorous and inspiring speech, and posed for every single picture he was asked for. That man’s cheeks must be as strong as his legs for all the smiling he does! 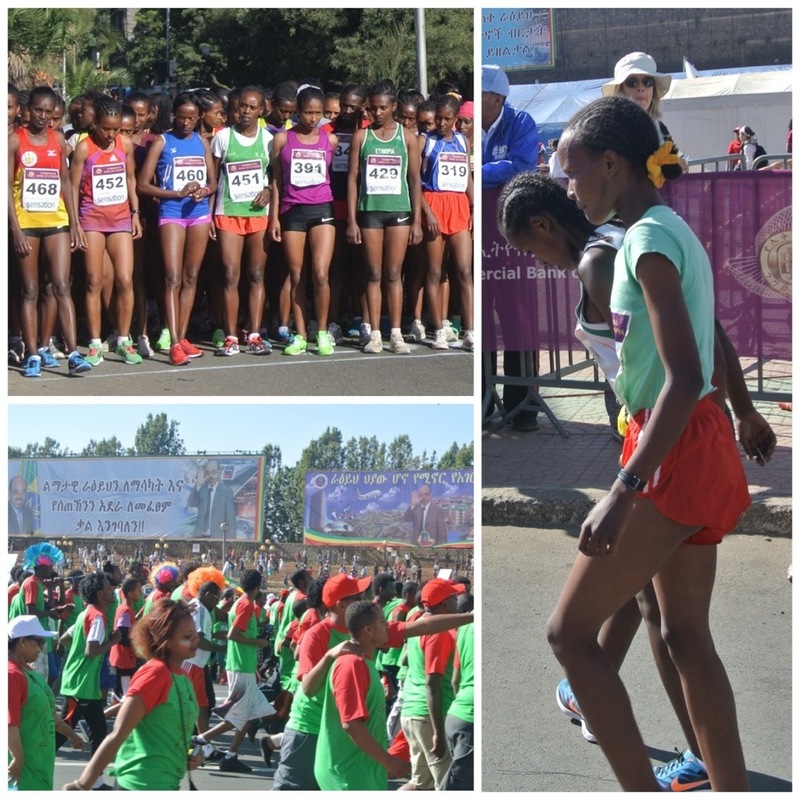 Haile showed up to Meskel Square bright and early on Sunday to start the Great Ethiopian Run and to cheer on all 36,000 runners (plus quite a few sneaky race bandits). I fought a little sickness that morning, but still had a fun time moseying through the normally gridlocked streets of Addis, listening to some traditional Ethiopian bands, making a few friends along the way, and soaking up the spirited atmosphere (although I still can’t figure out why so many kids yelled “China!” at me). One of the Yaya Girls, Meseret, had a great performance and made us all so proud and excited to see what she can do with more training and experience! 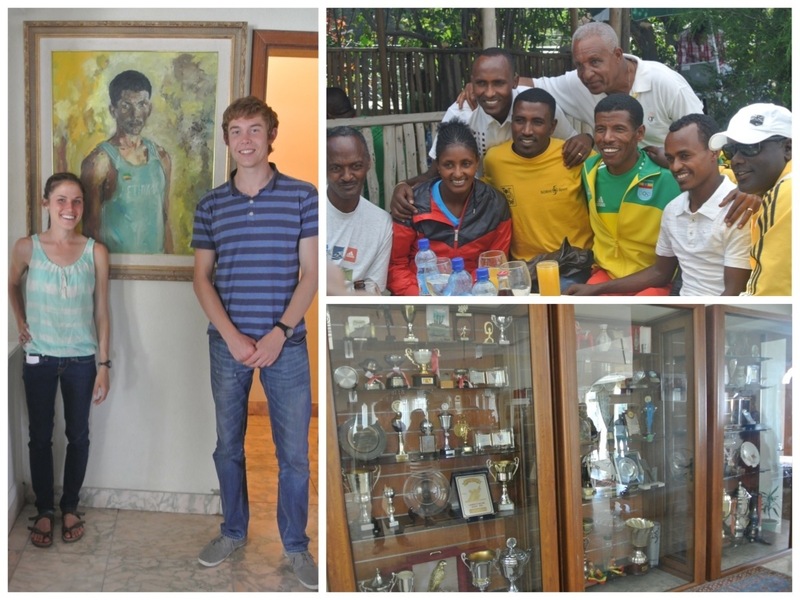 Finally, my Haile interaction peaked on Sunday afternoon at the post-race party he hosted at his beautiful home overlooking Addis. Julia was nice enough to snag invites for Dan and I, and we weren’t about to turn down such a once-in-a-lifetime opportunity. 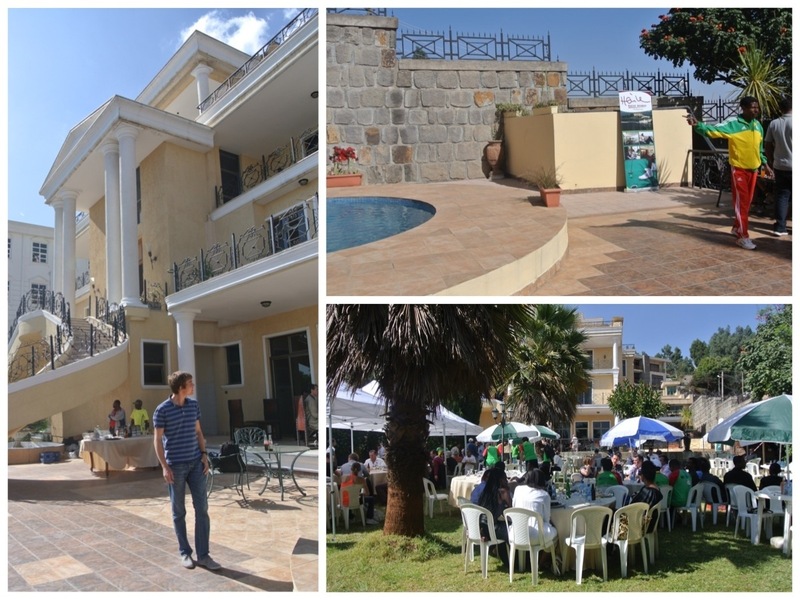 (While I’d like to think that Haile parties will become a regular feature of my remaining time in Ethiopia, I have to be real with myself… ). Eating from his buffet, wandering around his house, gawking at his massive trophy cabinets, and meeting his slightly less speedy friends (although that’s not saying much) made for a pretty surreal experience. 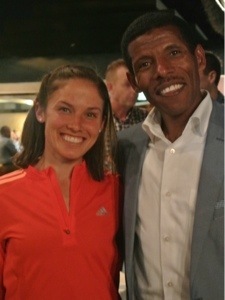 His dancing and running aside, I have the utmost respect and admiration for Haile Gebrselassie. Before last weekend, I knew that he was a remarkably gifted and hard-working athlete. But in the limited time I spent around him, I learned that he is also a gracious, humble and witty man who is the ideal ambassador for track and field. Haile’s passion for athletics is as deep as the Ethiopian running pool, yet he still manages to live a balanced life, dabbling in a number of business and charity ventures, making time for his precious family and idolatrous fans, and hosting some pretty hoppin parties. He makes me feel proud to be a runner, privileged to be a temporary Ethiopian, and inspired to live as deeply and earnestly as he does. 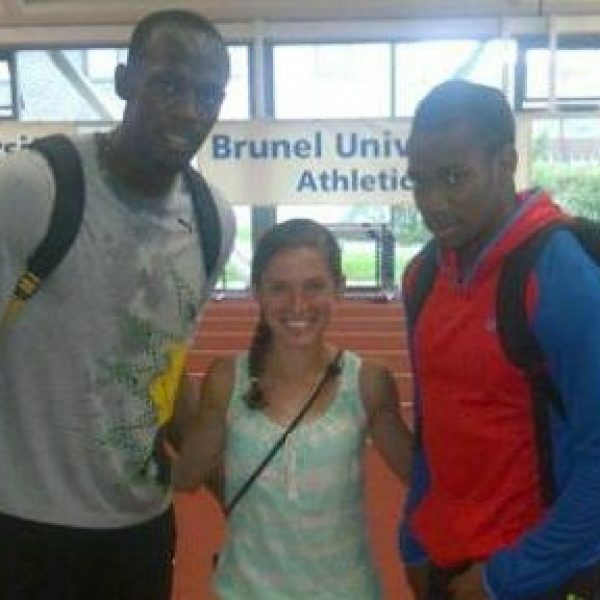 No offense, Mom and Dad, but if Haile offers to adopt me, I might have to accept. I’m not saying it’s going to happen, but did you catch his smile in our picture?! Ohhhhhh. If I wasn’t living vicariously through you before, I am now. 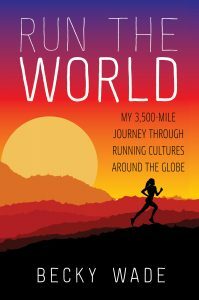 Jon Warren and I discussed one time whether he was the greatest distance runner of all time (as opposed to Zatopek). I think he is. I’m jealous. Wonderful post. 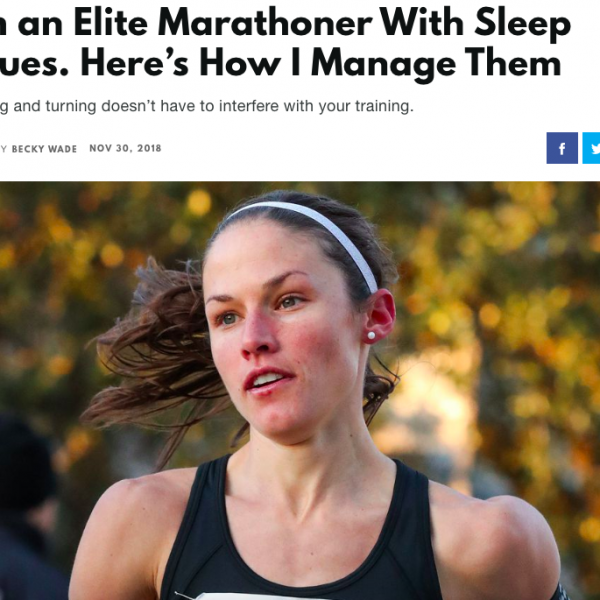 I wish I was there and able to chat with one of the all time greats of distance running. However, you did me make me feel like I was. I’m looking forward to Fukuoka, even if Geb doesn’t win, he’s still a true champion. Thank you.